WELCOME to the Doubleday Graphic Novels official web site. 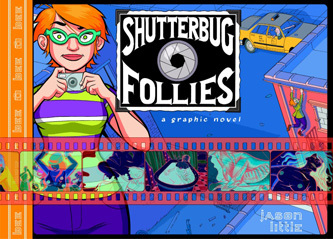 Here you will find information about our graphic novels collection, which includes the boldly illustrated Shutterbug Follies, Narcissa, and Fagin the Jew. Launched in the fall of 2002, the Doubleday Graphic Novels series offers a multi-faceted reading experience, moving away from the traditional printed page to a world of powerful words and pictures. While they're graphic in form and pleasing to the eye, they still contain all the elements of traditional novels--sophisticated plotting and character development, intrigue, satire, suspense, and humor. These are visually dynamic works that make for terrific reading. Shutterbug Follies, Narcissa, and the most recent release of Fagin the Jew are perfect examples of how to picture books differently. Here at Doubleday, we hope you'll do just that.